Devon More or Less is an intimate concert at the Havana Theatre featuring a killer collection of unreleased original songs and the stories behind them. "Showcasing a polymath's proclivity for playing multiple instruments," (CBC 2018) Devon More’s infectious melodies, catchy choruses, and cheeky lyrics make for irresistible earworms that pack a satisfying signature punch. 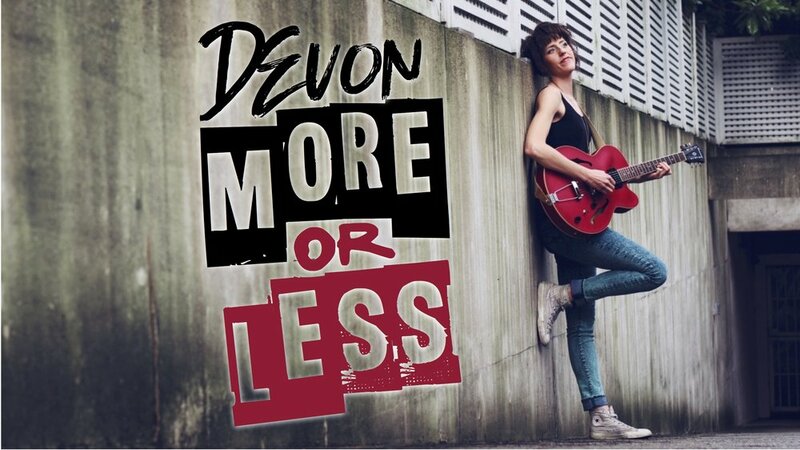 Devon More or Less is your chance to take a closer look (and listen) as Devon records on the spot using a loop pedal and live-mixes her strange arrangement of instruments (including guitar, flute, and glockenspiel), vocal harmonies, and hypnotic effects. Doors open at 7:10pm. to buy your advance ticket for just $7.50! Start your New Year fresh with fresh tunes from this Fringe Festival femme fatale, and enjoy the playful insight and angsty anecdotes that inspired the brightest gems in the solo song catalogue from the Hang Lucy front woman. Wanna hit the Havana Restaurant for pre-show Cuban food and drinks? Reserve your table at www.havanavancouver.com a minimum of 90 minutes prior to the performance to make sure you get great theatre seats AND the best dining experience.